BEIJING, January 24. /TASS/. China has deployed top-notch Dongfeng-41 intercontinental ballistic missiles in the northeast Heilongjiang province, which borders the Russian Far East, the Global Times newspaper reported on Tuesday. The pictures of the missiles have been uploaded on websites in mainland China, according to the newspaper. 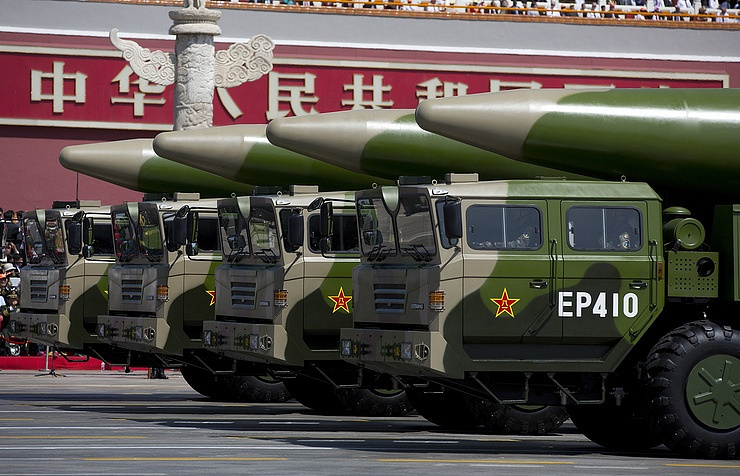 Military analysts believe that this is perhaps the second Dongfeng-41 strategic missile brigade and it should be deployed in northeastern China. "(…) the Dongfeng-41 is a nuclear solid-fuel road-mobile intercontinental ballistic missile. With a range of 14,000 kilometers and a payload of 10-12 nuclear warheads, it can target anywhere in the world and is widely considered one of the most advanced intercontinental ballistic missiles," the Global Times said. "Its deployment is classified at the highest military levels," the report said. "But most military experts believe that China has finished the research and production of the Dongfeng-41 and the conditions for deployment are optimal." 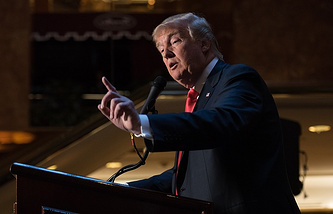 The Global Times also quoted newspaper reports saying the Chinese military intentionally revealed the Dongfeng shortly after the inauguration of the 45th U.S. President, Donald Trump. They suggested it was Beijing’s response to Trump’s "provocative remarks" on China. China's nuclear capability should be so strong that no country would dare launch a military showdown with China under any circumstance, and such that China can strike back against those militarily provoking it, the Global Times said. "A military clash with the US is the last thing China wants, but China's nuclear arsenal must be able to deter the US." "The US has not paid enough respect to China's military," the newspaper said. "Senior US officials of the Asia-Pacific command frequently show their intention to flex their muscles with arrogance. The Trump team also took a flippant attitude toward China's core interests after Trump's election win." 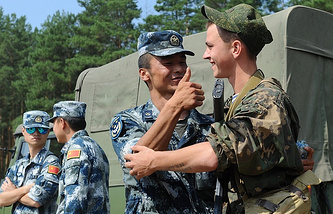 "Enhancing communication and mutual understanding is not enough," the article said. "China must procure a level of strategic military strength that will force the US to respect it."